First access will ask you to join the points program. 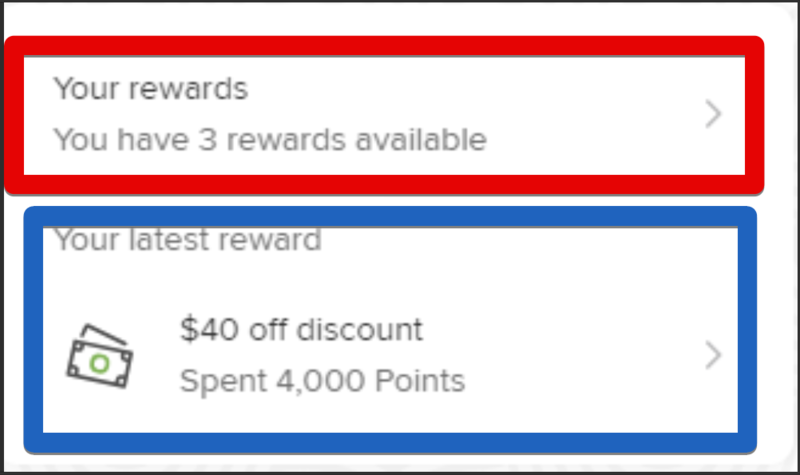 Beyond first access, however, you will be able to see how many points you have, how many until the next larger redemption you can make, and the different ways to earn points. You also get access to your unique referral URL to share with friends and family. 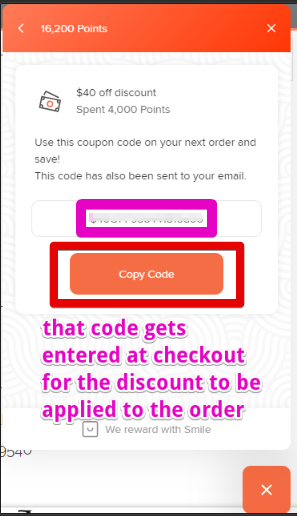 You earn points off their first order, plus they get a code to try us at a 10% discount. To begin, follow the steps below! On the upper right-hand corner of the screen find the log in button. Login on the login page. On the new page that opens look on the lower right-hand corner of the screen. Find the orange button that says "Best Paw Points Program". Click the orange button. It will ask you to log in again. First, make sure to log in then click the icon to open the points menu. 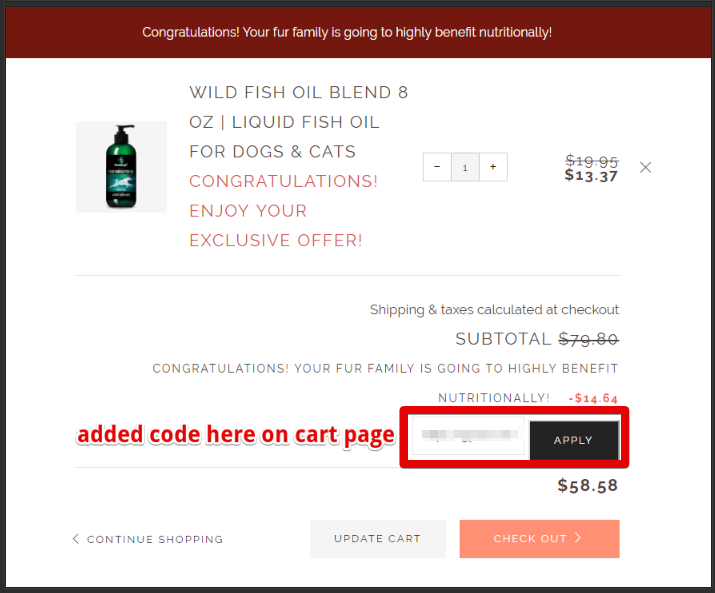 It should open to this page and allow you to click the redeem button. Then make sure to click and copy the link it gives. 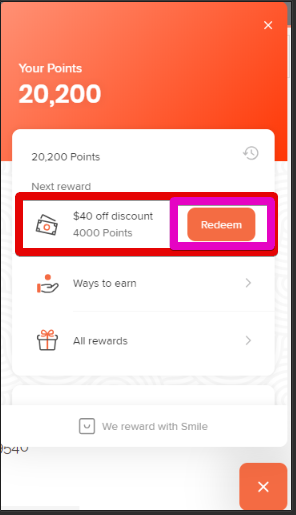 If you don't copy your code, you can get it by navigating down the menu to where you can see "Your Rewards" section for codes redeemed for points but were not used. 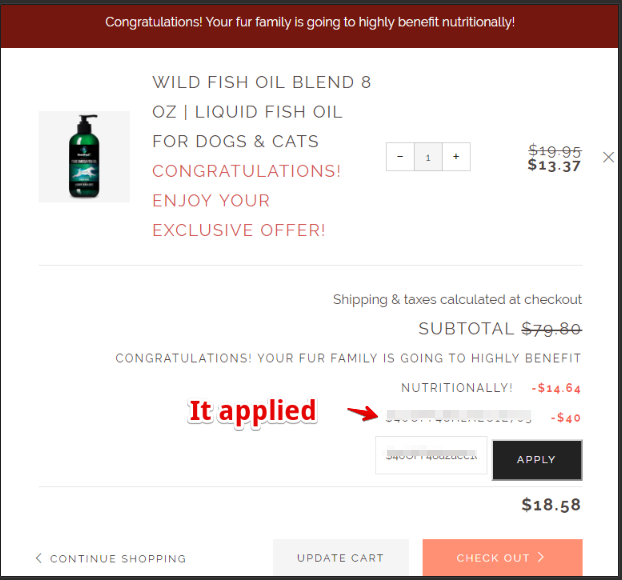 If you do not have products already in your cart, then you will need to go to the store and add the products to the cart that you want! 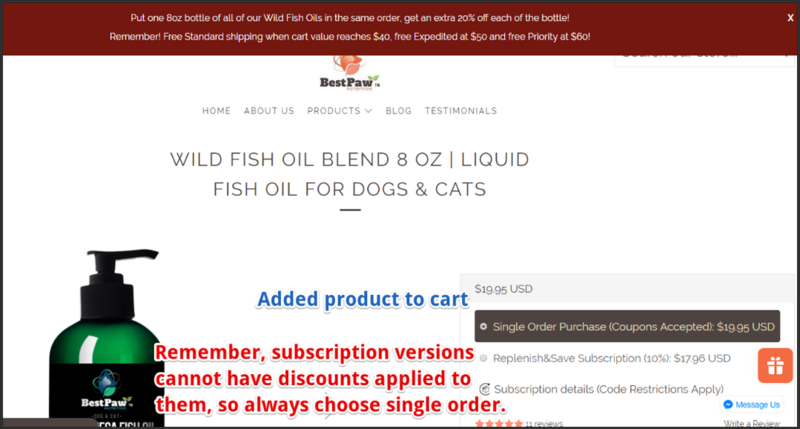 Add the code to the discount section on the cart page. Click apply, to apply the code. 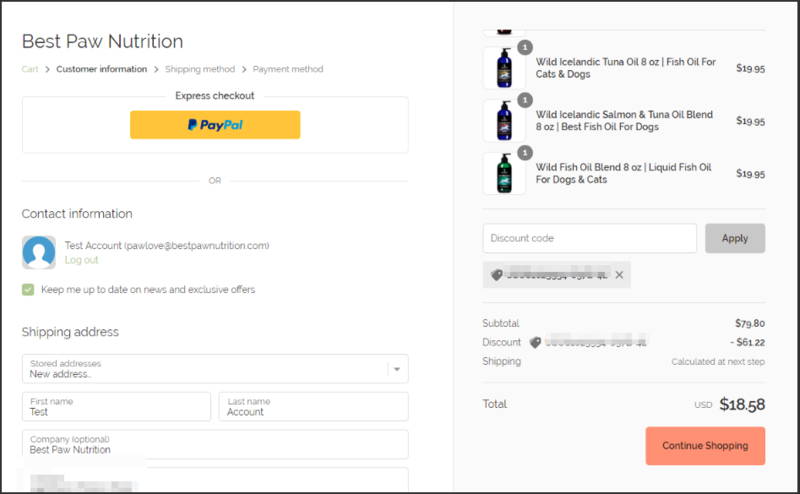 This is what it will look like on the check out page. You can then check out as normal.